We are a restricted group who aim to fight and defeath other people on Total War games, plaing just for fun against others. Winner of the 1. 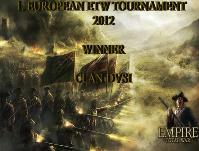 EUROPEAN ETW TOURNAMENT. © COPYRIGHT 2019| D.P.W.Z. E-SPORTS.